As many know, my creative outlet at Halloween is the jack o'lantern! Every year I carve 4 or 5 pumpkins, trying to increase the technical skill involved and still making it fun. A theme also tends to pop up each year as I try to do ones that my kids will enjoy. But every year, there is one pumpkin I carve just for me. 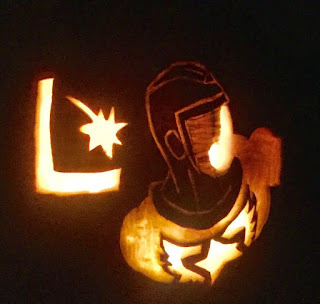 This year, my jack o'lantern is Wildfire from the Legion. Wildfire has always been my favorite Legionnaire so I figured I would give it a shot. I wanted to highlight the cowl, face plate, and symbol and I thought this pose (swiped from a Greg LaRocque panel) did nicely. The original plan was to have energy leaking from the vent at the top of the helmet but my artistic attempts at Kirby Krackle failed so I opted for the Legion symbol instead. Click on to see more! I wrap up my reviews of Supergirl and the Legion of Super-Heroes run over on the Legion of Super-Bloggers site. The creative team of Tony Bedard and Dennis Calero finish up their brief 6 issue run and need to clear the decks for the upcoming team, writer Jim Shooter (a Legion legend) and artist (and then newcomer) Francis Manapul. Things happen fast here, as they often do before a creative team change. And Supergirl is sort of whisked out of the book rapidly. This might be Calero's strongest issue. I like this last look at Kara in the Legion showing how she is an important member of two heroic teams in two times. And I definitely like that she is consider an inspiration for the Legion and so needs to go back in time to fulfill that destiny. And, I totally liked this Supergirl more than the one that was snarling and snapping her way through her main title at this time. But with Supergirl gone, these Saturday brief recaps end as well. If you like, I will be continuing my look at this title on Fridays at the main Legion site. 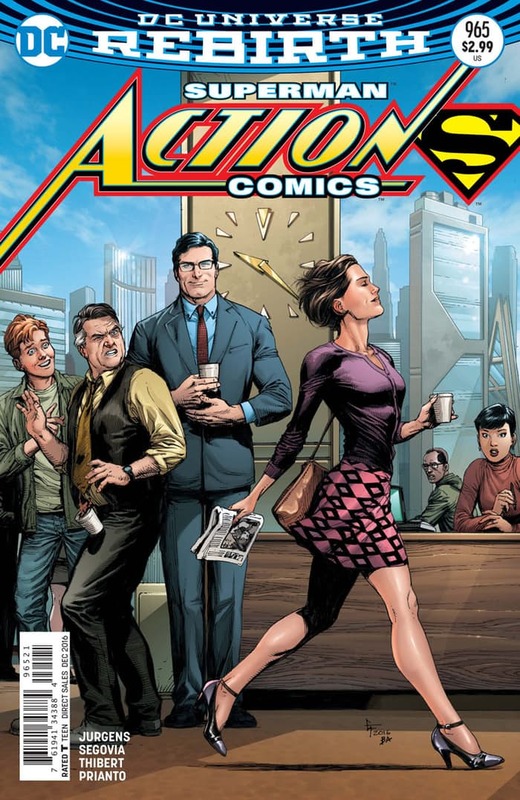 Action Comics #966 continued to Lois Lane story begun in last issue and was the home run of the week for me. I suppose I am repeating myself but since the New 52 Lois has been in the background. She simply hasn't been the presence that I want her to be in a Superman book. From her role as a vessel for Brainiac to her reveal of the secret identity to her simply not being shown, Lois has been mistreated and/or forgotten. It is like a vacuum in the mythos when Lois isn't around. 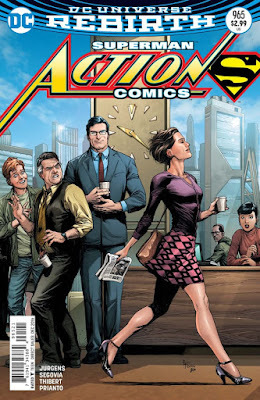 Then Dan Jurgens wrote the Covergence Superman book and the Lois and Clark mini-series and suddenly *a* Lois was back, a strong, independent, feisty investigative journalist who was a presence, an equal to Superman. And with #Rebirth, that Lois is now a major part of the Superman books and is attempting to not only fill the void of the other Lois but go further. It is clear that Dan Jurgens loves Lois and loves the relationship between Clark and Lois. This issue concentrates on that. 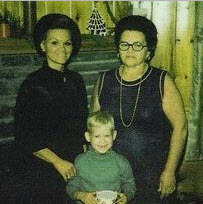 Lois has been living busy life as an anonymous auther and a homemaker/mom. Here she decides that some changes have to be made for her to remain happy. She has to honor the other Lois and reclaim her past. And Clark is 100% behind this. Hooray for us! Lois is back! The art is lushly provided by Stephen Segovia and Art Thibert. For an issue that is mostly conversations, they bring an emotional punch. Of everything in this book, I love their take on Lana Lang/Superwoman the most. If Phil Jimenez is looking for an art team for the Superwoman book when he needs a break, I nominate them. There were a couple of surprises in the solicits and I suppose my Christmas money is already spent a bit. But here we go! “REIGN OF THE CYBORG SUPERMEN” part five! As National City becomes a war zone, Cyborg Superman’s plan to resurrect Argo City reaches its deadly final phase: rain Argo City itself down upon the earth! 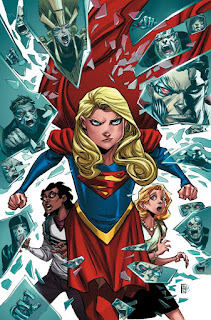 Supergirl is all that stands in the way of total destruction—but with the clock ticking and the stakes rising she’ll need more than just brute force. She’ll need the help of…Cat Grant? 'Reign of the Cyborg Superman' is a nice throwback name for this arc. The idea of Argo City falling to Earth has been done before in DCCP #97 so I'll be interested to see if this version of that is as horrific as that one. I do wonder how the heck Cat Grant can help. Some pep talk? I like the cover a lot. There is Supergirl in a nice dynamic figure, clearly driven. And the surrounding images of the mechanized Argo City citizens is a nice one. The third episode of Supergirl Season Two was titled 'Welcome to Earth' and heavily played on topics that are on the minds of many people in this election year - prejudice and immigration. But here, rather than comment on the issue by looking at illegal aliens from other countries, we are discussing illegal aliens from other planets. The president is going to grant amnesty to all the aliens living undocumented in America and not everybody agrees. This has been a major hot button issue in this presidential election year here so this certainly was a timely discussion. Unfortunately, and maybe appropriately, the topic is covered a bit heavy-handed and ham-fisted in this episode. Understanding that this isn't a college or Master's level course on this topic and knowing that some of the audience are viewers who are kids, this has to be a sort of primer on the subject, presented in broad strokes. In some ways, this reminded me more of the early episodes of Season One where feminist ideas were presented in stilted dialogue that hit the viewer over the head. That isn't to say I didn't enjoy this episode. There is some personal growth in almost all of the main characters in the show, mostly around this amnesty point. 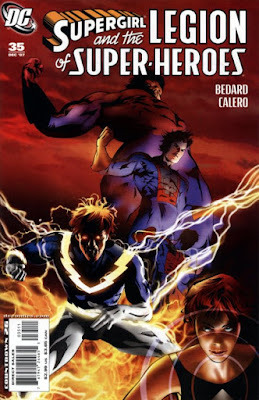 We meet a couple of new characters: Mon-El, Maggie Sawyer, and Miss Martian. And it is clear that an Alex/Maggie relationship is starting to simmer on the back burner. And Lynda Carter is great as the President Marsdin (so close to Marston!) and the show runners add a couple of Wonder Woman Easter Eggs. And no big surprise, Melissa Benoist is just dazzling in the episode. Whether it is the nervous giddy Supergirl preparing to meet the President or the prejudiced Kara thinking about Daxam or the frustrated Kara Danvers learning one of the most basic tenets of journalism or the determined Supergirl squaring off against a villain, Benoist captures it all perfectly. She is simply a superstar. On to the particulars. Settle in! One of the things I am fiercely proud of is that I belong to a fantastic on-line community of comic fans. There are too many of you out there who I routinely converse with on-line to go ahead and list. But hopefully you know who you are and who much I value our friendship. Something that has really blown me out of the water has been how generous the group is to each other. We all know each other's special characters and creators and I think we are each on the look out for anything we could send along. 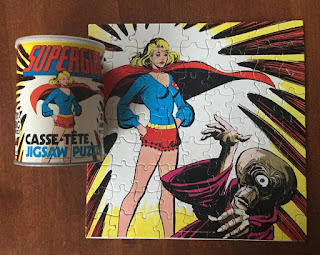 So I was floored the other day when Rob Kelly of The Fire and Water Network sent me this Supergirl puzzle from his youth. I have interacted with Rob for years now on-line and have been honored to be a guest on his Fire and Water podcast as well as his Film and Water show as well. He really is a knowledgeable fan and an overall great guy. I'll be honest, I didn't even know a puzzle like this existed which made opening it up an even bigger surprise. It really is a great addition to my collection. 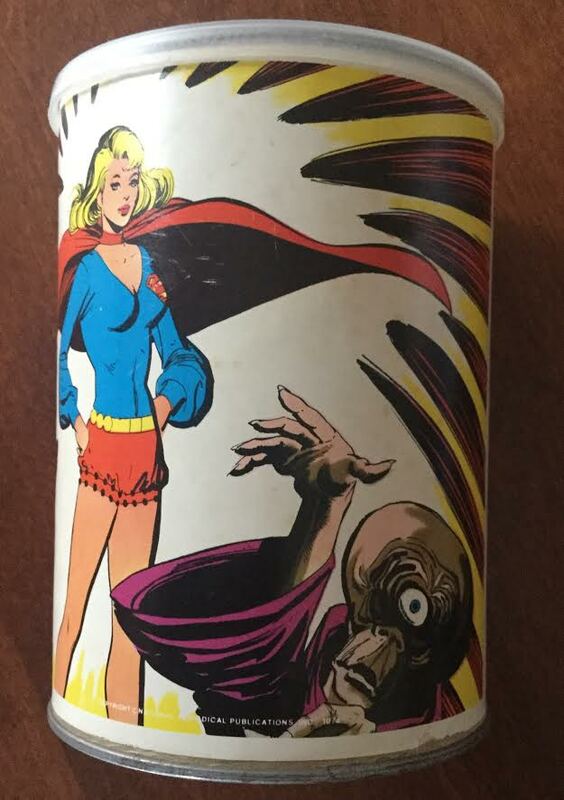 The front of the canister is the classic Supergirl pose from the early 70's in her run in Adventure and her short-lived solo title. 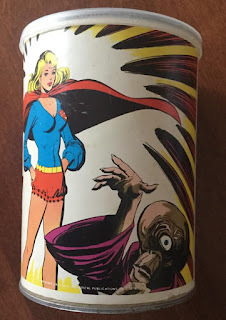 The back of the box shows the puzzle, Supergirl standing heroically behind a one-eyed alien who is either cringing in fear or readying an attack. Astute observers will recognize this one-eyed menace as one of Nightflame's flunkies in Adventure Comics #421. I have to assume that Mike Sekowsky drew the alien for this puzzle. I thought this might have been a direct lift from a panel from that story but it isn't. It is only 81 pieces so a short 10 minutes later there was the complete puzzle, finished in all its glory. That is simply amazing! I love it! It definitely warrants a place in the shrine. Surprisingly, the 70s section of the collection has grown pretty rapidly in the last year or so. I have come to really like that version of the costume and am happy to see it represented more. Once again, thanks to Rob for being so generous and kind. Rob sent along this picture of him in his youth, holding this very puzzle with sheer, unadulterated happiness. Thanks Rob. This will be a cherished part of the collection. In something which feels unprecedented in this last decade, DC continued to dominate comic sales in September. Whether it is the optimism of Rebirth or the doldrums of Civil War 2 or the quirky nature of comic fans, the tables have turned. Fascinating. For me, there has just been a different feel to the DCU (or at least the titles I am collecting) since Rebirth. I actually like what is happening! The Superman books feel like Superman books. No dude with bloody fists. No aloof floating guy. Just someone there to help. 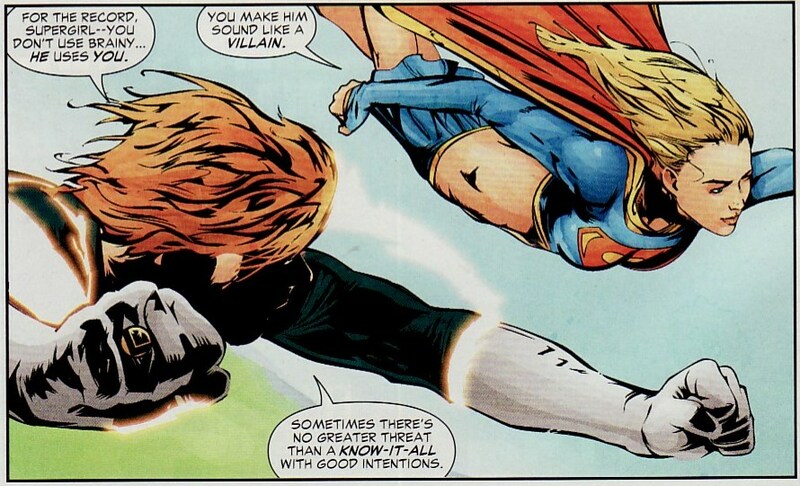 Supergirl reads like Supergirl, a bright young girl trying to fit in, trying to do what's right, and learning. Wonder Woman is acting like Wonder Woman (and remember I liked the Azzarello/Chiang book for the Elseworlds it was). So here we are, with DC on top of the world. But let's look at the specifics. Superman #9 came out this week, finishing the Escape from Dinosaur Island storyline. This brief story was a nice homage to Darwyn Cooke's New Frontier book and a deserving tip of the cap to Cooke's brilliance. Tomasi and Gleason finish up the story of The Losers, the ragtag group of WWII soldiers whose story opened up the New Frontier book. From that viewpoint, seeing Captain Storm dealing with dinosaurs and shooting machine guns, this story was wonderful. Cooke's work was brilliant. I don't mind revisiting that world one more time. But beyond that, what I liked about this was that Tomasi and Gleason didn't treat this as a simple side mission diversion. They do end up tying it into the bigger arc coursing through the Superman books. There does seem to be a link to Mr. Oz here. Most importantly, at least for me, is the interaction between Jon and Clark in this issue. We truly get a sense of how young Jon is. And we get to see Clark acting as the dad here, guiding his son through this crazy world while dropping some knowledge. I will be honest, there was a moment here that reminded me of a young Anj and his father. It reminded me of Anj and his young children. That is powerful stuff. The art is done by Doug Mahnke and has is usual panache throughout. Sure, there are battles with giant gorillas wielding sea mines and torpedoes. There are pterodactyls zipping around kaiju. But again, the power here is Mahnke's expressive work with Jon and Clark. That is really where this book shines. 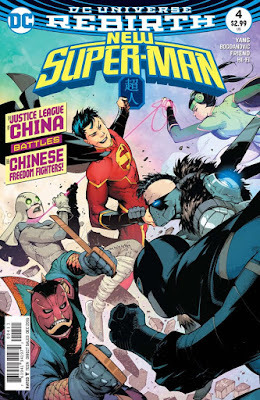 I am a bit behind in my reviews, just covering last week's New Super-Man #4 now. That is what happens when you release 4 super-comics in one week DC! As I have said before, I have been enjoying this comic more than I ever thought I would. Writer Gene Luen Yang and artist Viktor Bogdanovic are creating a fresh new universe, tangentially tied to the DCU enough to feel a little familiar but innovative enough to be completely new. So it is fun to see these Chinese analogues of familiar heroes, comparing and contrasting them to the more classic versions. Moreover, Yang is really creating compelling characters here. Whether it is Kenan as the vulnerable bully or Deilan's naivete being challenged in the face of facts or Kenan's dad thinking optimistically while maybe being used ... they all are layered. I really don't know who the good guys are in this book. I don't think Dr. Omen is all she claims to be. But the Freedom Fighters don't look like noble rebels either. Maybe there is goodness in these organizations but it isn't pure. Bogdanovic continues to bring a stylized, grainy roughness to this book which works well with the story. The second episode of this second season of Supergirl aired earlier this week and continued to showcase the super-cousins as they faced the Kryptonite-powered menace of not one ... but two Metallos! I got the sense from this episode that the show runners were using this first mini-arc to set up the current season, redefining some of the characters' roles while reestablishing some of the emotional cores of the show. Remember, a network change happened. The producers might feel they need to inform new viewers exactly what happens in National City all while satisfying everyone who followed from CBS. As a result, 'Last Children of Krypton' felt a little busy. A lot happens in this episode. And some of it felt a little off as the emotional beats and some storylines happen a little quickly. This isn't as nutty as last season's premiere which could have used another 30 minutes. But it felt a bit cramped. That isn't to say I didn't like the episode. What is stuffed into this episode is, for the most part, pretty good. From the strained relationship of J'onn and Superman to the new Catco to Winn being the voice of familial reason, there is some solid stuff here. I was happy and entertained. You can't ask for more. So with the deck chairs rearranged and everyone's roles reset, this season is ready to take off. No complaints here. On to the particulars; settle in. Superwoman #3 came out last week and this book remains one of the more interesting reads of the #Rebirth new titles. Writer Phil Jimenez started the book with a bit of a 'bait and switch', hinting this was a Lois book and turning it into a Lana book. And from looking at social media, it looks like that was something of a hit or a miss. Lots of folks seemed upset. As for me, I like Lana so I didn't mind the switch. Plus, having two Loises running around the DCU might have been complicated. But more importantly, I like good stories. And Jimenez is really shining here. Lana is Superwoman. But she also is emotionally fragile. She is suffering.. She is on medication. And yet, we see that she still thinks there is a stigma to mental health issues, hiding her condition from those closest to her. She seems to have swings in her mood, flaming angrily and then shrinking with insecurity. I don't think Jimenez has labeled Lana's condition but it mostly seems to be PTSD and/or depression. And this foundation of the character makes Lana feel very fresh. Jimenez also has included a tremendous super-villain for the book. This isn't a side book in the DCU. This is immersed in Superman mythos. This book will have repercussions in all the Superman issues. The art this issue is done by Supergirl/Starfire alum Emanuela Lupacchino. The art is lush and beautiful. The energy-based action is really done well. But it almost feels too beautiful. This is a gritty sort of look at super-heroics. This feels almost too polished. Action Comics #965 came out last week and was basically a Lois solo issue, something that made me wholeheartedly elated. 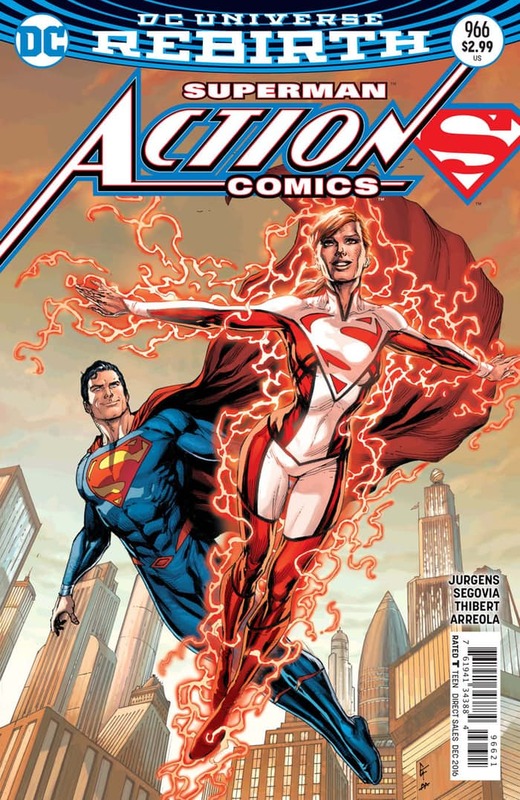 If there was someone who got short shrift in the New 52, it was Lois. She basically was absent, possessed by Brainiac, or shunned for her identity reveal for basically five years. 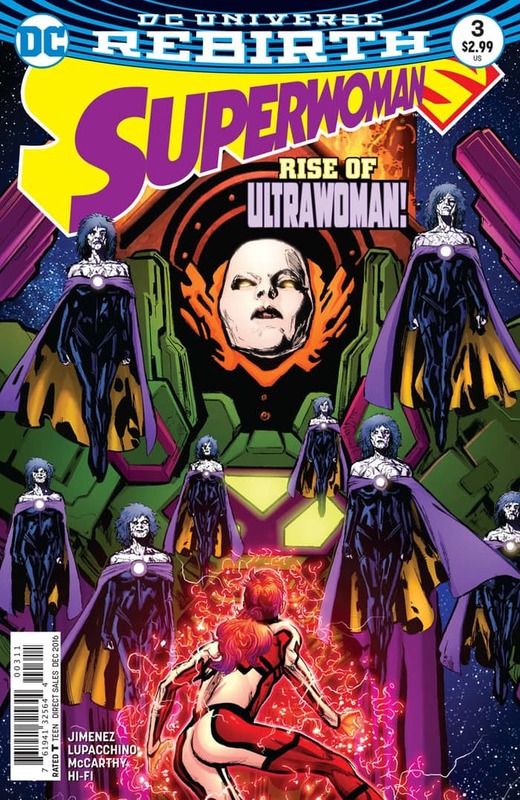 Now I have to say that I was ready for two Loises to exist on the Rebirth Earth but the twist ending of Superwoman #1 certainly put an end to that. Instead, we have the pre-Flashpoint Lois, an older Lois who was successful as both Author X and mother. And Dan Jurgens has certainly made her a vibrant character, reminiscent of the Lois of old. She is bold, loving, intelligent, and determined. In this issue, writer Dan Jurgens and artist Stephen Segovia bring Lois further into the Rebirth world. This is a world where Lana works for the Daily Star and a human Clark Kent works for the Planet. So why not have this Lois replace the other at the Planet? And Jurgens does a great job of reintroducing us to the cast of the Planet, something else missing for much of the New 52. It was great to see these wonderful folks again, some who we haven't seen in years. I will say, this Lois is supposedly around 10yrs older than the other so I had to roll with it that she is accepted. Segovia's work is spot on bringing a nice natural look to the cast of characters and evoking the right emotions when necessary. 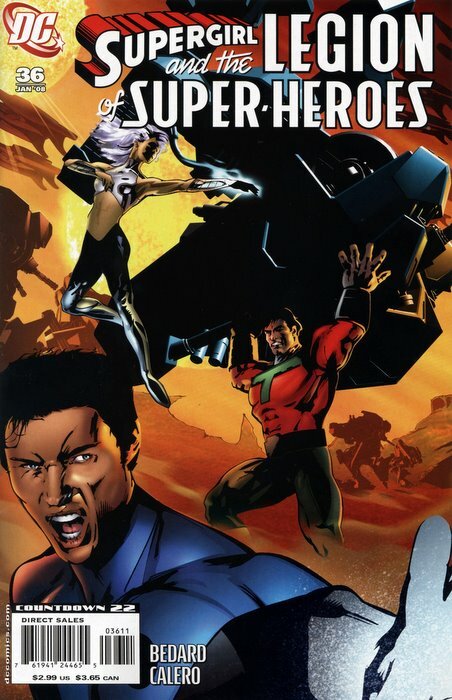 I continue my look at the Threeboot Legion of Super-Heroes comic over on the Legion of Super-Bloggers site. 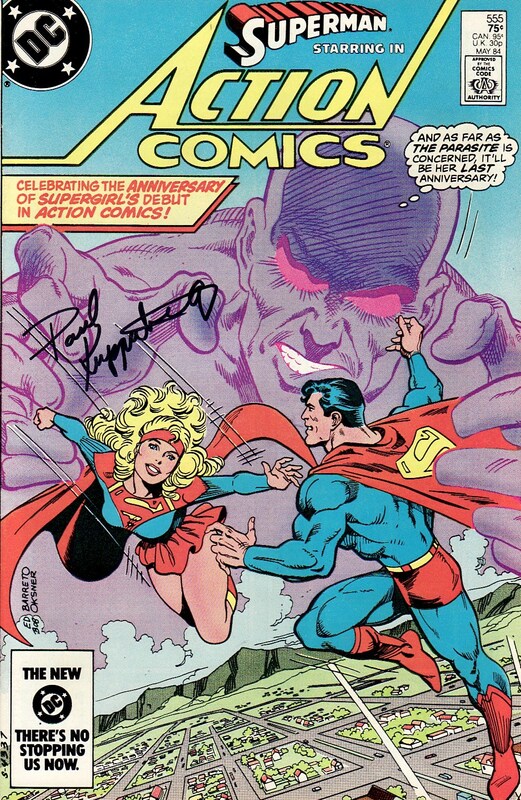 I have currently worked my way up to Supergirl and the Legion of Super-Heroes #35, the penultimate issue to sport that particular title and co-star Supergirl. To read the full review, head here. This is the Tony Bedard/Dennis Calero portion of the book. 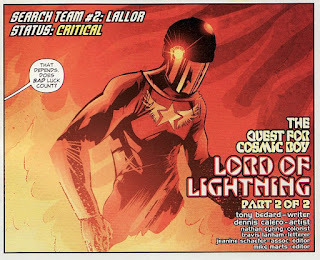 The Quest for Cosmic Boy is the name of this arc and concentrates on three away teams looking for the missing leader. Bedard has done a good job of bringing in some of the old Legion magic, specifically from the Cockrum era while embracing some of the newness of this continuity. This issue continues the Wildfire storyline on Lallor but focuses mostly on Atom Girl, the Three boot Shrinking Violet who seems like someone who embraces the sensuality of life. Wildfire makes her tingly. Last issue, she looked lustily at Timber Wolf. The old Vi went from timid wallflower to assertive female and one of the initial gay characters in comic to the battle-scarred stressed out veteran from the Five Years Later book. This cheeky version is certainly new. 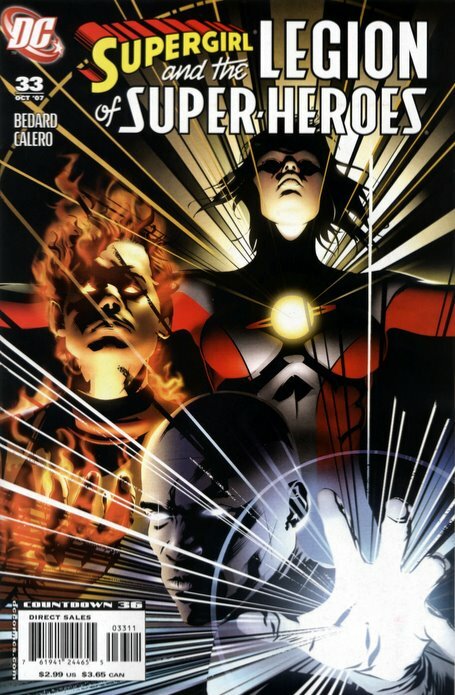 Supergirl is barely in the book although the focus shifts back to Earth at the end. 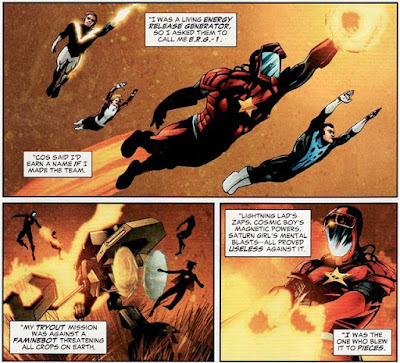 Bedard inserts some history into this issue bringing Evolvo Lad into the story. While these stories have been interesting, we just don't see enough of the Legion to grab me. The world is recovering from the Dominator War and we just don't see any of that. What I would give for a one page peek at the rest of the team helping out! 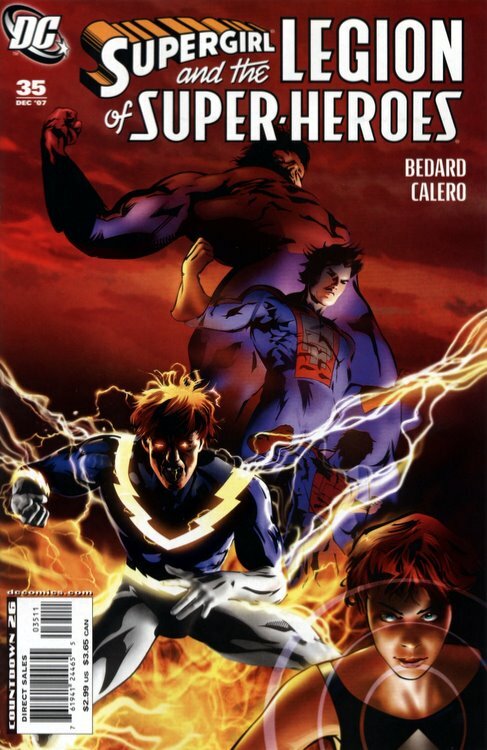 And Calero's art is just a bit to rough and muddy for my liking on a Legion book. So overall, in a vacuum, and as a Wildfire fan, this is a good read. Just maybe not a great Legion read. 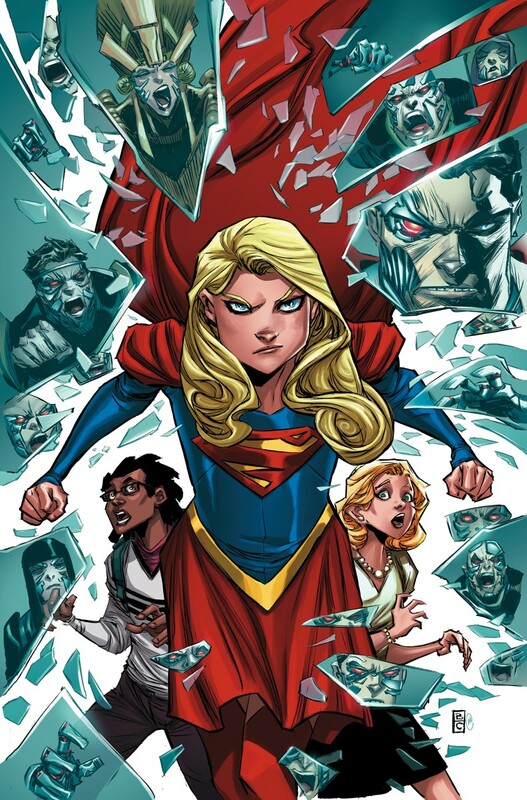 Supergirl #2 came out this week and continued to be a world-building issue for writer Steve Orlando. We are still trying to get a foundation that this Rebirth Supergirl's life can be built on. As a result, this issue seems a little busy ... but in a good way. We need to learn about Kara Danver's home life, her school life, and her personal life. We need to learn about her relationship with the DEO, what her duties are, and what she wants to do as a hero on her own. 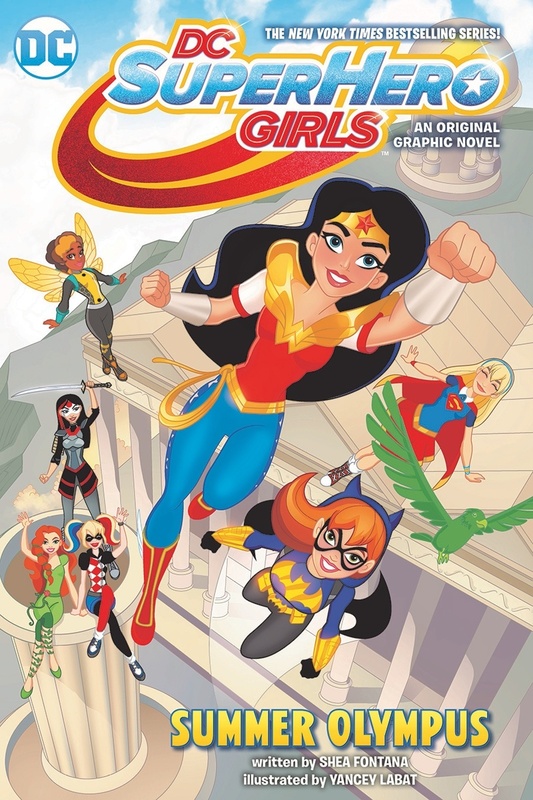 Given that DC seems to have written off the last Supergirl series (despite the excellent last year by Tony Bedard and K. Perkins/Mike Johnson), we really are in new territory. This Supergirl acts like she has been on Earth for a very short time, still trying to adjust. That's a far cry from the girl working as a barista and living in an apartment. It definitely is light years away from the young heroic leader who thrived at Crucible. And I guess I just have to let that go. All that said, I like this Kara. I like the direction I think she is going. And I am thrilled that these early issues have a very very different feel from the early issues of the 2005 volume and the 2011 volume. We aren't drowning in angst and anger. Hooray! And while it isn't a hair changing comb, it looks like her hair color is changed when she dons and doffs her glasses ... cool! The main villain here is the Cyborg Superman/Zor-El and I think I need to go back and reread his prior stories with Supergirl. At the very least, Orlando has injected a lot more sympathy into the character. 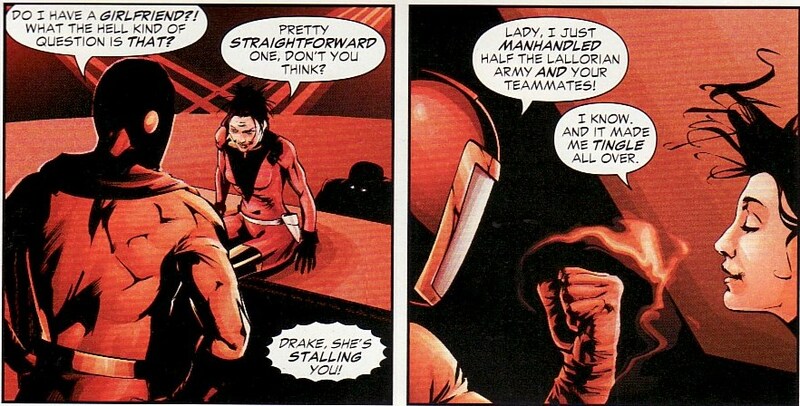 But I wish this part of the New 52 was swept away. Lastly, Brian Ching brings an energy to the book. There is a sleek look to the action. But this style just doesn't work for me. It doesn't take me out of the story. But it doesn't bring me in deeper. The Supergirl Season Two premiere is behind us and it was great to see Superman and Supergirl working together! 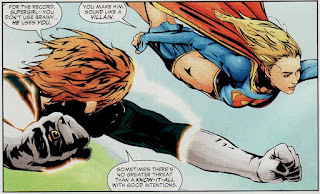 But before that, given the team-up nature of the super-cousins on the show, I thought I would finish my look at one of their final team-ups in the pre-Crisis era, a celebration of Supergirl's 25th anniversary in comics. 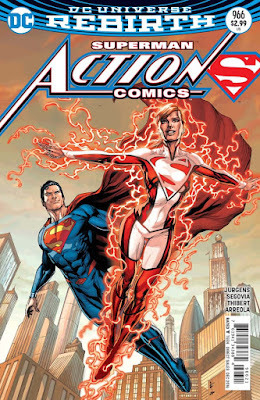 I covered the first part in Action Comics #555 last week. 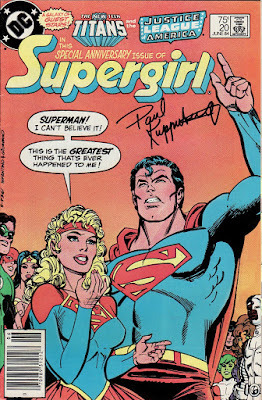 Today I'll cover 1984's Supergirl #20. Much like Action Comics #555, this is a 'sort of' team up. The cousins only get together at the end of the issue. But the stories are closely linked as the villainous Parasite is coordinating a simultaneous two pronged attack on Superman and Supergirl. In my review of the first part, I talked about how confusing the Parasite's plan was. It didn't make much sense to me then and I hoped it would be better explained here. Unfortunately, I am still confused. This chapter does explain some of what is happening. But I still don't understand the Parasite's plan, why it needed to happen the way he plans it, and why it ends the way it does. These books unfold similarly, sometimes with the same scene played out from each character's perspective. People who visit here know I have tremendous respect for writer Paul Kupperberg. And I like the idea of two similar plots unfolding against the heroes at the same time. It is a nice plot idea when you take a step back. But the devil is in the details. I can't think about this too much or it unravels and my headache returns. And, like in the Action chapter, this book has a healthy dollop of supporting cast subplot, something I always enjoy. The art in the book is done by the standard team for this volume, Carmine Infantino and Bob Oksner. 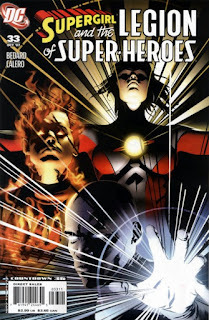 I think Oksner softens Infantino's line work nicely. 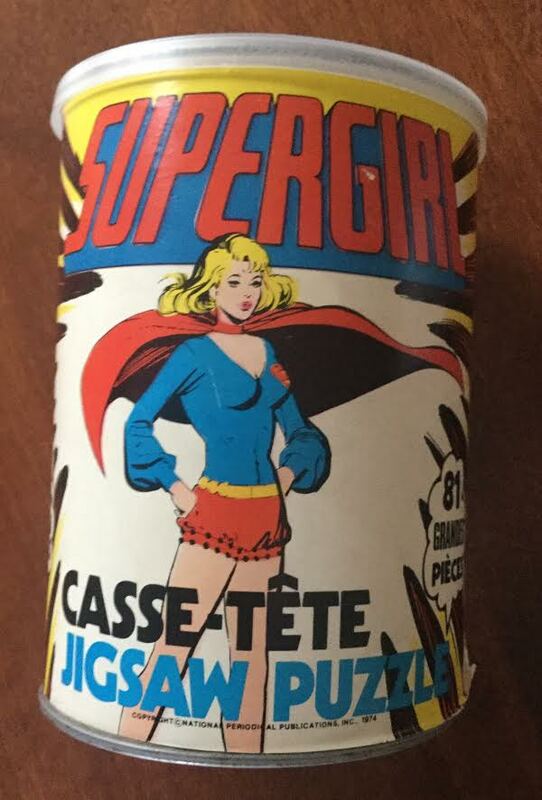 Supergirl looks young, vital, beautiful, and strong. So happy anniversary Supergirl! On to the story! Earlier this week the season premiere of Supergirl aired on its new network, The CW. After the months of speculation about where the show would air and would the CW mean a lower quality production, we finally got a season two. For those who don't want a deeper dive into the episode, I can sum up the episode in three words. There was a ton to love about this episode. And it all starts with the voiceover of the opening. The new opening talks about how Kara hid herself in the past but now with friends, allies, and family she is finally home. That theme of finding who you are and being proud of your identity is going to be a running theme here. As usual, Melissa Benoist is brilliant, shining bright as Kara who is maturing in this world and discovering her way in the world. It really felt like it mirrored her growth in comics, suddenly realizing that she could be defined by who she is alone, rather than just her relationships with her cousin or boyfriend or adopted family. And that growth was in both aspects of her character, Supergirl and Kara. The Tyler Hoechlin Superman was another bright spot, smiling, winking, supporting his cousin, and basically saving the day. This was about as far as you can get from Zach Snyder Superman. But don't think this is a meek Kal. He has a bone to pick with J'onn and he isn't backing down from that. And we hear that Kryptonians age more slowly, explaining his youthful look despite being 12 years older (thanks for dealing with this CW!). And thank goodness Cat Grant was on the premiere, pushing Kara into her new role and new confidence. As usual, Cat is a mentor. I am pretty convinced, based on some lines she says, that Cat still knows Kara is Supergirl. She also has her usual blistering dialogue, zinging multiple people. And I think we got the hints of a reason why Cat might be less visible this season. On top of that we got great moments from Winn (now working for the DEO, acting like a fanboy), Lena Luthor (strong in person and determined to polish the Luthor family name), and Jimmy (looking a bit forlorn as his relationship with Kara takes a turn. In fact, the one problem I have with the episode is the relative dearth of Alex. Sure, she has a decent fistfight and some fun moments. But she seemed more on the periphery of the show than in its center this time around. Finally, in this preamble, I will say that the special effects and action scenes were definitely on par with last season. Things looked sharp. Last weekend was New York Comiccon, one of those conventions that is seemingly just down the street from me but one I have never been able to attend. It is a massive con which, from afar, feels like mini San Diego convention with a bigger and bigger multimedia presence. I did my best to try to follow the news from the convention from a distance and so I thought I would try to consolidate the Supergirl news here. I should put the word news in quotes. Not much true news was dropped but what was released was big. The Bleeding Cool coverage is briefer. 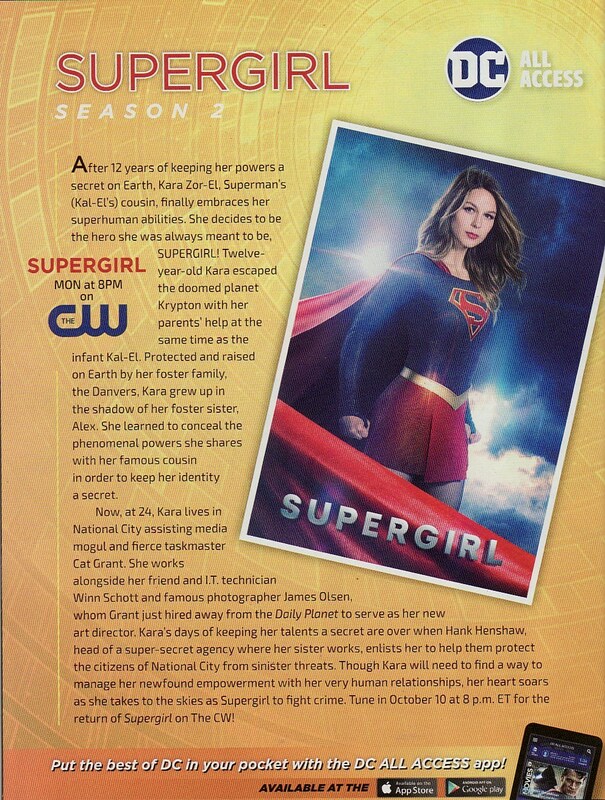 I picked the Supergirl specific blurbs and will present them here. 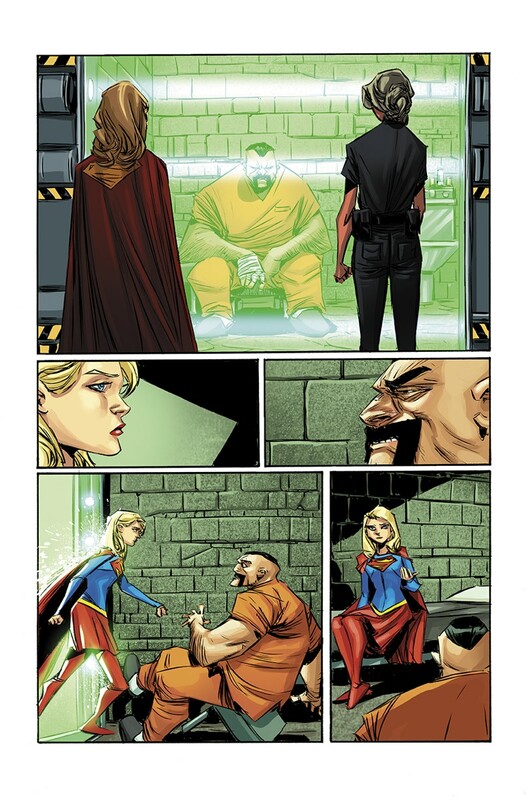 From Bleeding Cool: "This Supergirl comic is an opportunity to show what she means and represents to so many. Mr. Orlando himself believes the actual character represents compassion." We have heard from Orlando before how Supergirl will arrest you but then is going to visit you in jail to make sure you are doing well. That is her compassionate core. And then we see a page from an upcoming Supergirl book where we see that scene actually played out. She is visiting the data-thief she stopped in the first issue. 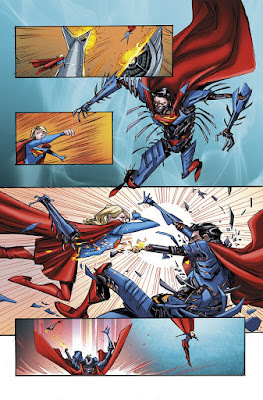 I've never been a fan of Zor-El being the Cyborg Superman. I don't know why Zor has become easy fodder as a quasi-villain (either by Jeph Loeb/Joe Kelly or David Allen Nelson). But if Orlando can somehow redeem him as a character I'll be happy. 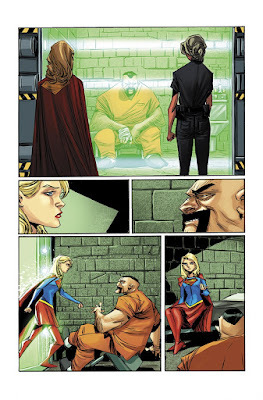 We see a couple of pages where Kara is tearing into him. 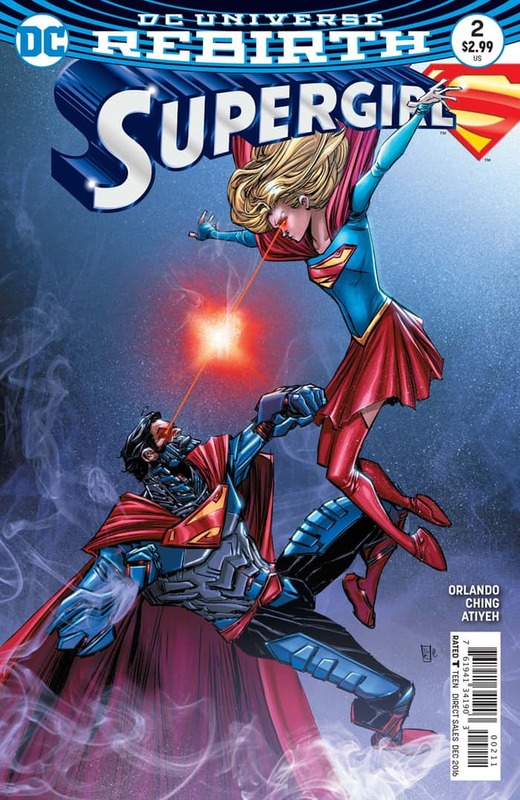 The discussion moved to fan questions where Orlando explained that for the time being, “Supergirl” will not be crossing into the stories of her cousin and his expansive supporting cast. 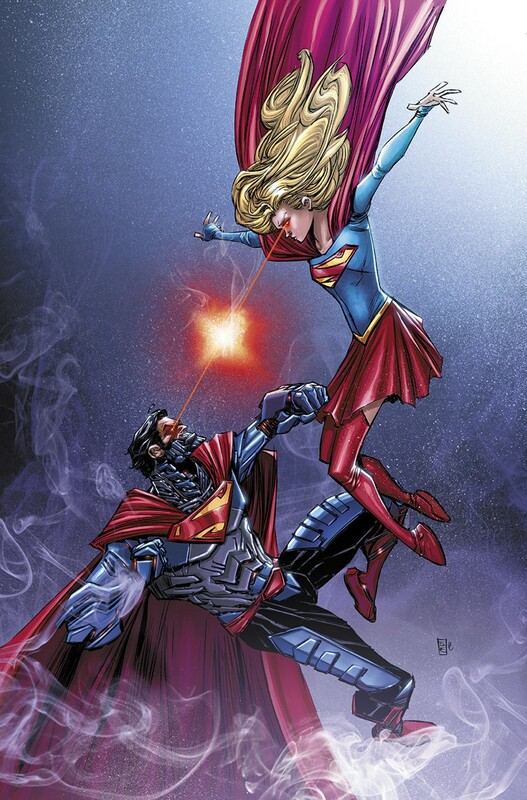 So for all of those who were hoping that Supergirl will meet the pre-Flashpoint Superman and have them team-up, looks like we'll need to wait. DC Super Hero Girls: Past Times at Super Hero High digital first comic launched today and will debut new chapters every other Wednesday. Written by Fontana, the digital comic will feature art by Agnes Garbowska, Labat, and more to be announced. A print graphic novel collecting the series is set for 2017. Unfortunately, I don't think I'll be able to read and review all of this. There is a limit to my budget. I hope folks will keep me in the loop about what is happening in the book. 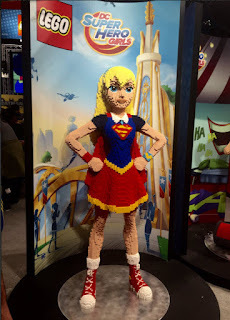 There was even a life size Lego version of the DC Superhero Girls Supergirl at the con. Amazing. 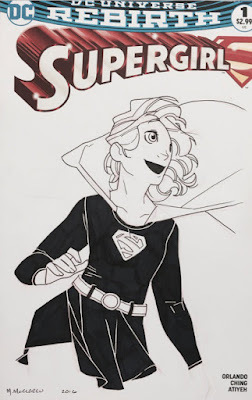 Lastly, on Twitter, I saw a ton of Supergirl commissions. There is some really great pieces that folks nabbed. I decided to post this one from current Jem artist Meredith McClaren which was lovely. Was anyone at the con? Anything I missed? Tonight the season premiere of Supergirl Season 2 is airing. There was a time when we weren't sure this was going to happen. There was a time when people dissected the CBS ratings and we wondered if this show was as big a success as we assumed it was. When it was announced the show was on the CW, we wondered if it would change the show, that suddenly it would have the budget of a high school play. But all those worries have gone away. The show has been embraced by the CW. The same massive amount of promotion happened. And the effects (at least on the brief trailers we have seen) seem just as great. Even DC Comics seems to have joined in the fun. There is a new comic on the rack, aligned a bit with the show. And this week the DC All Access column is devoted to the show. It is a basic primer on the show, filling in anyone who hasn't seen the first season. There has been too many times when it seemed DC scoffed at the character. Anytime I see the company as a whole promoting Supergirl, I sport a wry smile. So let's all settle in and enjoy. 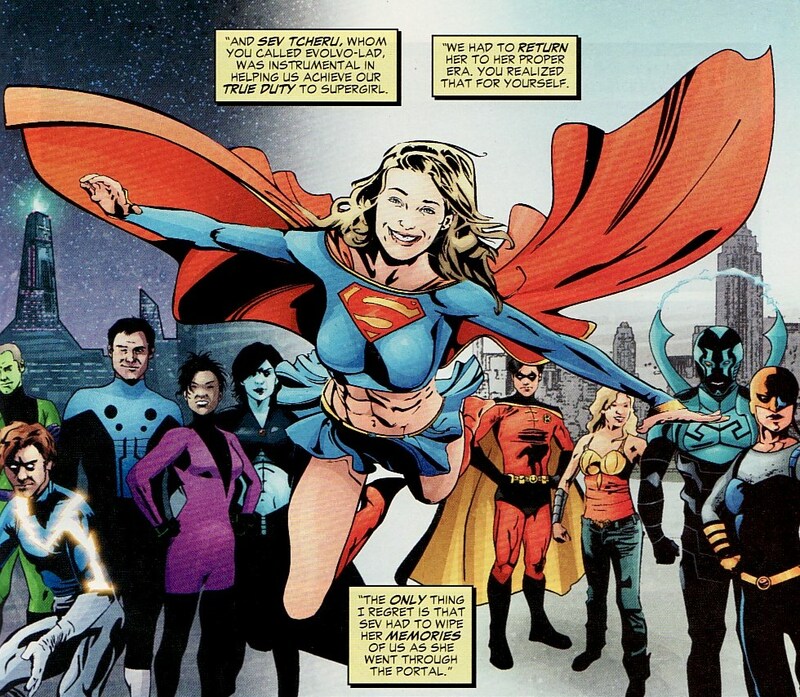 This is a Supergirl book in name only as she only appears in one panel. She only appears in a monitor screen in the background of one page. 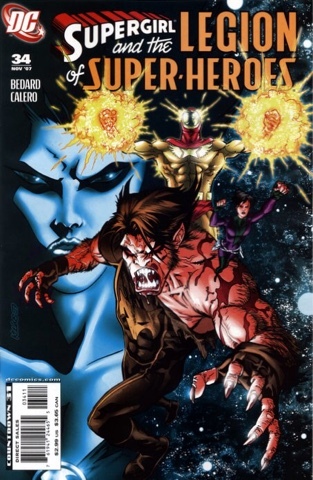 Otherwise, this is an Atom Girl, Shadow Lass, and Timber Wolf issue. But someone else arrives too! An old friend. Writer Tony Bedard reintroduces Wildfire to the Legion. Bedard definitely looks back to the Cockrum Era of the character, riffing on old continuity with added new wrinkles. This is an interesting book for the intermingling of old history and a new direction. It is a shame the art by Dennis Calero is so muddy! The comics world was stunned last May with the passing of creator Darwyn Cooke. Taken from the world too soon, Cooke was a tremendous talent. Everyone recognized that. His stories, his style, his take on the DC Universe, his Parker work ... I could go on and on. He is missed. He is missed by fans and creators. Superman #8, out this week by Peter Tomasi, Patrick Gleason, and Doug Mahnke, is basically a love letter to Cooke. 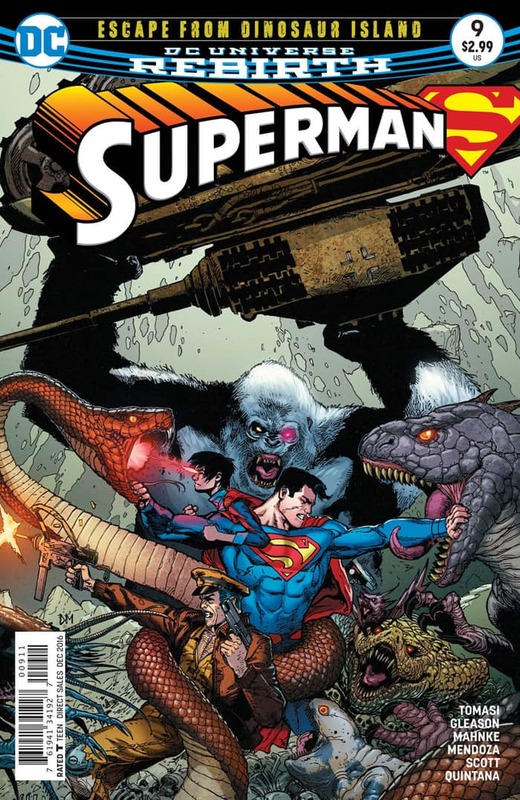 The creative team takes Superman and Superboy and sends them to Dinosaur Island, the opening setting of The New Frontier, the savage land where the Losers met their fate. 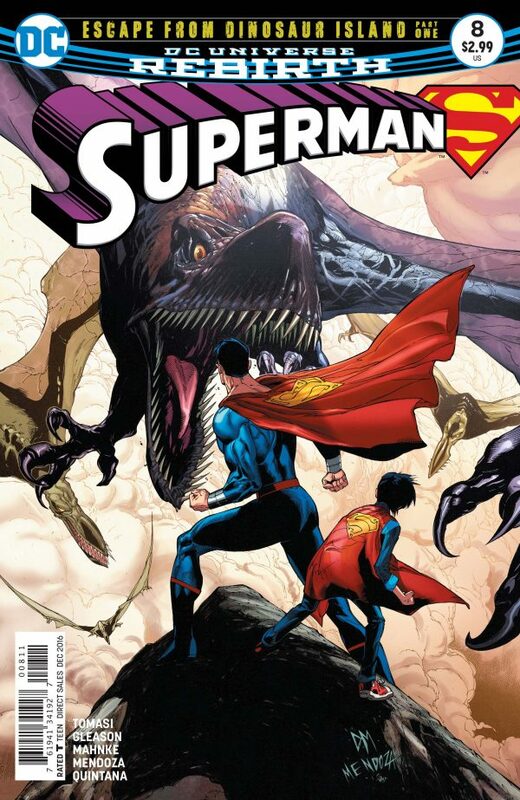 And while it is basically a tour of Dinosaur Island, revisiting the Losers and New Frontier, Gleason and Tomasi still inject some nice familial moments between father and son. I don't know how anyone can critique this issue. As a testimonial to Cooke's work it is wonderful. The art by Doug Mahnke is fantastic. There won't be a grade for this comic. But if you are a fan of Cooke, you should go out and get this. Supergirl and the DC Superhero Girls are everywhere. They have a website, animated shorts, full length features, graphic novels, and Happy Meal toys. And now they are making the jump to full fledged Lego! The first three Lego sets—Batgirl and her Batjet, Harley Quinn and Super Hero High School—will all be available in time for Cyber Monday on Nov. 27. 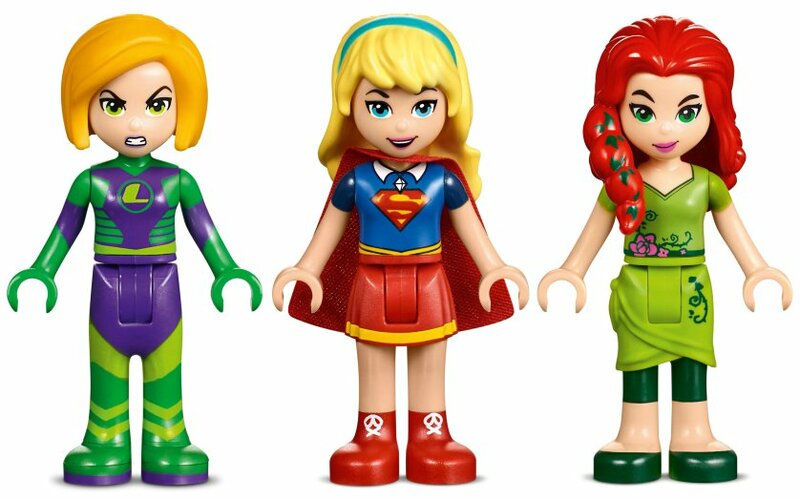 Fans will have to wait until January 2017 for the next batch of ‘Super Hero Girls’ LEGO sets to be released, though, which seems like a super long time to wait. For me, there are some things that need to be said. First off, who would ever think that a Supergirl toy would be announced in Time Magazine. I grew up in an era where Time was the staid and reserved 'high water mark' of news journalism. I don't know if this shows that the geeks have inherited the Earth or that news journals need to cover entertainment like this, but I can't believe Supergirl is in Time. Second, there is a bit of a spoiler in this fluff piece. That has to be Lena on the left. So Lena Luthor will be part of the DC Superhero Girls line. And she'll be wearing the Bronze Age classic Luthor armor. Now that is news! 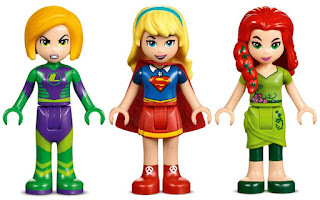 Looks like Supergirl will only be available in the big Super Hero High set. But there's a Krypto one! And is that Lashina? Lashina in a kid's toy? This world is crazy. Still .... Supergirl in Time Magazine! Incredible! In less than a week the Supergirl season two premiere will air on the CW. We have all seen the trailers and sneak peeks of Supergirl and Superman happily teaming up, working as allies and loving as family. It is refreshing! And exciting. With that in sort of feeling in mind, I thought I would review Action Comics #555, an issue where Superman shows how much he appreciates and loves Supergirl. This isn't really a team-up but it is one of my favorite issues of the cousins. 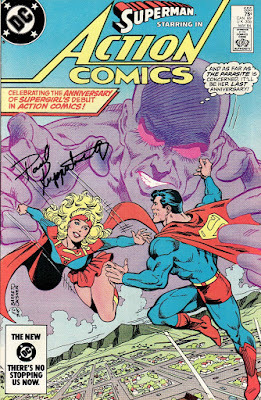 This is part one of a two part story (the second appearing in Supergirl (vol 2) #20) celebrating Supergirl's 25th anniversary. 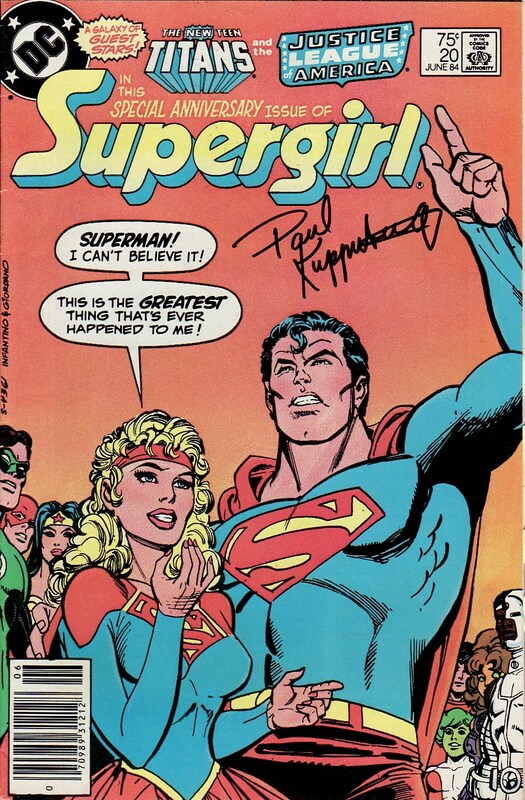 Writer Paul Kupperberg was guiding Supergirl's stories at the times and penned this book. I am not surprised to see his name in the credits as he is a huge fan of Kara. Who better to write this celebration! The art on the interiors is done by Curt Swan and David Hunt and really has a classic feel. But I love the cover by Eduardo Barreto and Bob Oksner of the two cousins playfully flying together while the menace of the Parasite looms over them. I love his sneering dialogue! "It'll be her last anniversary!" So much fun! As much as I wish that I had unlimited time and funds to see and read everything Supergirl, it just can't be done. And some things simply slip through the cracks. 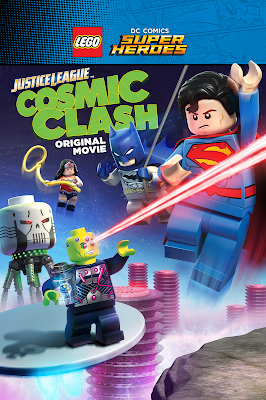 And one of those things was the Girl of Steel's appearance in last year's Lego movie Justice League:Cosmic Clash. I covered the announcement of the movie when it first came out but never saw it until this last weekend when it was shown on Cartoon Network. It is clearly a movie made for kids filled with silly slapstick action and some underpants jokes but for the more grizzled fans of DC Comics, there was plenty of stuff for me to enjoy. While I am going to concentrate on Supergirl's role and the appearance of the Legion in the movie there is plenty of stuff I have to highlight. The basic plot is that Brainiac wants to shrink Earth and put it in his collection. When his shrink ray is damaged by the JL, he returns with a different ship and sends Superman, Green Lantern, and Wonder Woman into different time periods to remove them from Earth's defenses. Batman then needs to rescue those three and bring them back. He uses the Flash and a Cosmic Treadmill attached to the Batmobile to rush through time. Meanwhile, the rest of the League has to defend Earth. Things I loved that aren't Supergirl. Brainiac is sort of played as a quintessential comic collector, demanding that his collection be organized perfectly. The planets need to be in mint condition. And the bottle they are in need to be unopened, like keeping toys in their packaging. We even get a glimpse at Colu. Batman is played as the primary hero and is a sort of straight man for the rest of the team. We hear about his paranoid schemes to defeat the other members. But the Dark Knight does learn a lesson about lightening up. In one scene from the past, he is pirate gear and jumps a shark over a boat. I wonder if that is a 'jump the shark' joke. Superman is a shining model of country boy goodness. Wonder Woman is strong and admirable. The Flash is a frenetic hero with fun lines. Green Lantern is brash hero who thinks he can't be beat. And Cyborg brings some youthful energy to the team. And the way Brainiac is defeated is a silly play on his compulsion to be a collector. Ah, but there is a lot of Supergirl and Legion stuff too! I have had the luck of finding some gems in my comic shop's dollar box these last couple of months. The store recently bought some new collections and after scooping up the most lucrative gems, put the rest out in the bargain bins. I was lucky enough to find a copy of Showcase #99 in the box, albeit in a 'well-loved, well-read' condition. Still, while I barely touch upon Power Girl here (she is, in my mind, a separate character), I do consider myself a fan and like reading her earliest adventures. "The Crater that was Keystone City" was written by Paul Levitz and drawn by Joe Staton and is a fun Earth-2 story in which Power Girl fights old JSA villain The Brainwave (never seen him use 'The' before his sobriquet) and team up with Jay Garrick and Alan Scott. 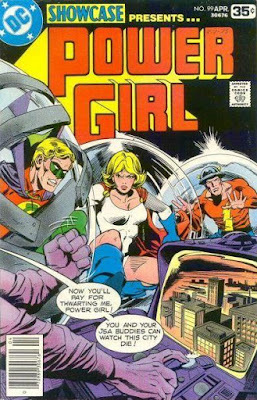 It also helped solidify Karen Starr who Power Girl would be moving forward in the DCU. 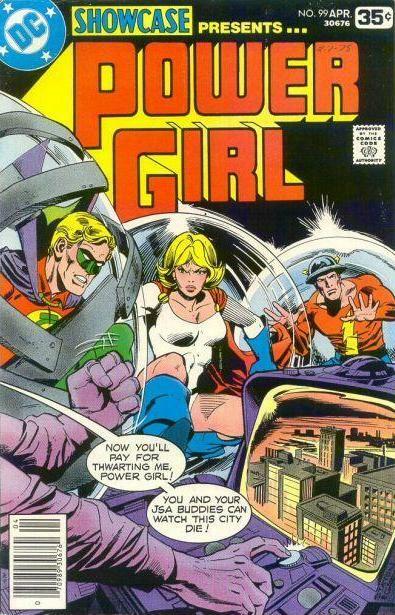 This Showcase three parter surely is a key part of a Power Girl comic collection. On to a couple of moments that struck me! This is the third issue of the Tony Bedard era on the title and we are nearing the end of Supergirl's inclusion in the book. 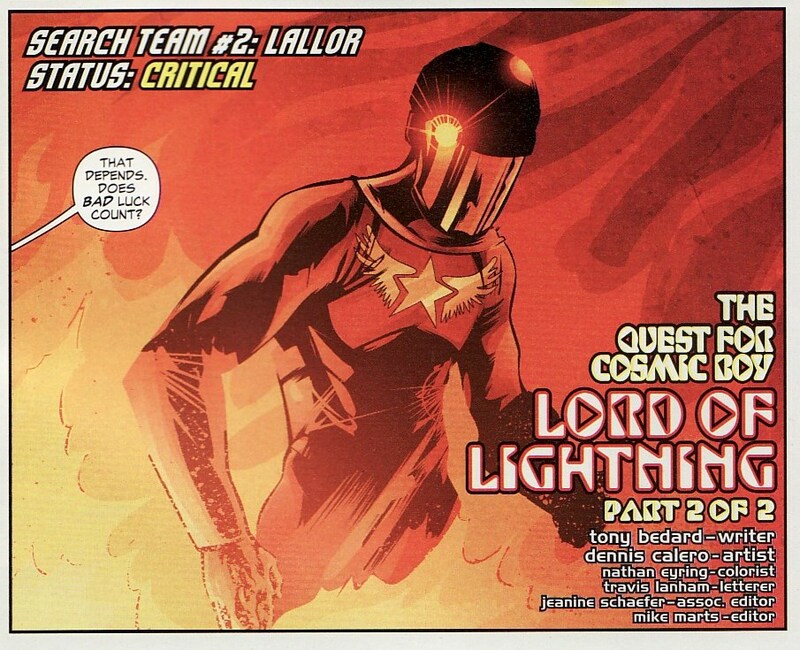 Once again, in this issue, we are on Winath with Star Boy, Sun Boy, and Mekt Ranzz investigating the Cult of Validus, the Lightning Lord. This was a 'new' Legion with less 'hard and fast' continuity. And Tony Bedard, stepping in after Mark Waid, decided to take advantage of that, reimagining the idea of Validus, Tenzil Kem, and the culture of Winath. The issue ends with a cliffhanger ... a shot of Wildrfire! Wildfire hadn't been seen in this Legion. He is my favorite Legionnaire and so I was thrilled to see this. Still, there was a feeling of unease when I was reading this book when it came out. It felt like DC was trying to be daring here, trying to keep this book alive. I will sound fatalistic but I think this book was almost destined to fail. One cannot serve two masters. Trying to bring in a new generation of Legion fans with a brand new Legion while also trying to court old fans married to continuity seems like a fool's errand in retrospect.